A key component of Ghana's revenue generation is dividends from the tourism sector. However, a number of potential tourist sites in the country are underdeveloped and or are not discovered -a situation that mitigates the growth and full realization of dividends from the sector. Shiare waterfall, is just another 'yet to be discovered' tourist site. Shiare is a small community found far West of Nkwanta township in the Nkwanta South Municipality of the newly created Oti region. 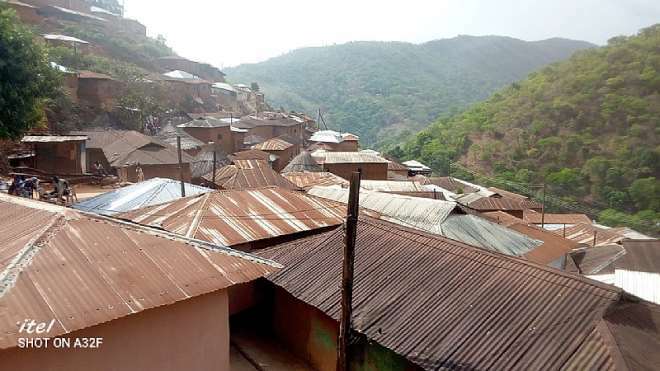 Shiare is regarded as the ancestral home of the Akyode tribe. The community is a settlement on and around the famous Breast mountains, that erupts beyond the Chabobo reserves. 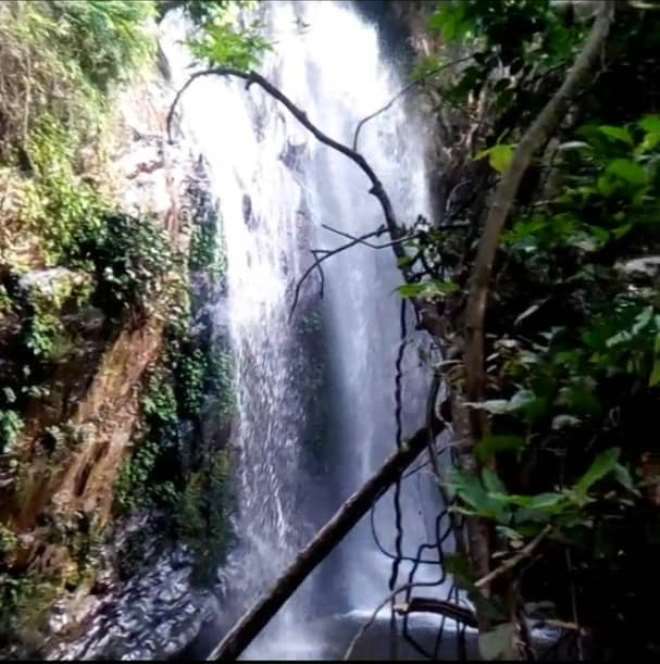 The route from Nkwanta to Shiare is a hell of a journey, that could discourage any traveler from getting to the foot of the mountains but the beautiful scenery and the cold waters on the mountains (streams), give a pleasurable moment that is quite relieving. Settlers on the mountains, a predominant farming community are disconnected from the social amenities and benefits of life. 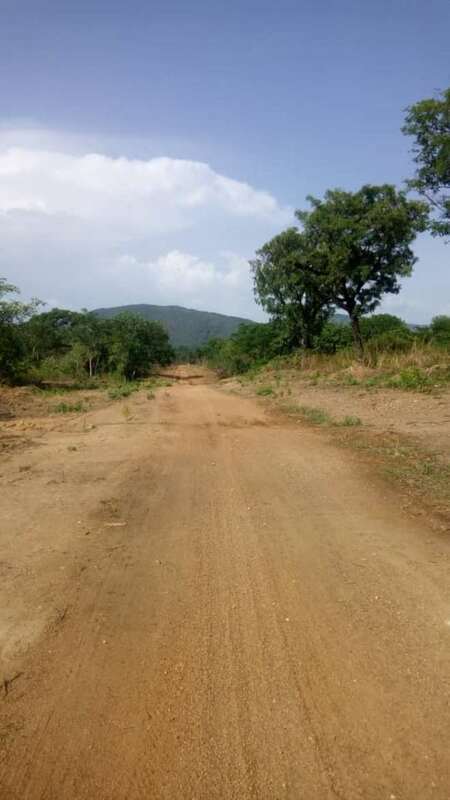 The road -a very bad one which is now under construction, no health facility, though with a basic school that lacks a significant amount of facilities. 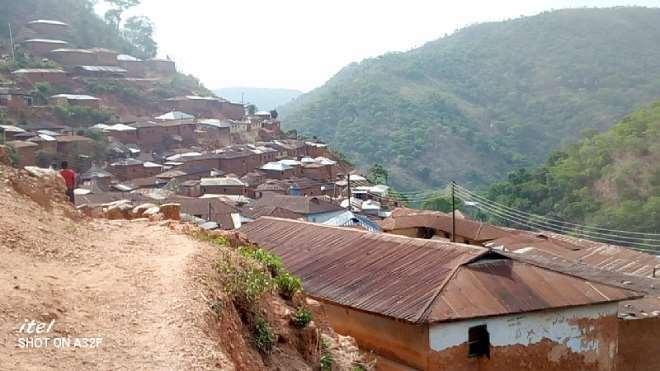 Joshua, a native of Shiare who lives in Dambai explains that accessing health care delivery is one of the most difficult things for residents of Shiare since the road to Nkwanta is in bad shape and cost a lot to get to town with a motorcycle. Aside from these challenges, settlers on the mountain find it difficult to communicate on phone, since the place has no network coverage, except for one point up the hills. His words are just the simplification of a people living in severe deprivation. Apart from the beautiful scenery on top of the mountains, the area is surrounded by abundant streams that give any visitor a cold bath on arrival in the community. Hidden amongst the water bodies, is that of a beautiful waterfall that gives the community the most beautiful sight; down the heals, it runs through the rocks and provides residents with cold waters that quench thirst. 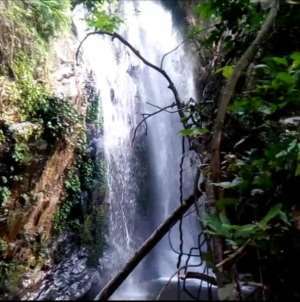 According to Joshua, the waterfall was discovered years before he was born and serves as a source of water for residents, even in the dry seasons. "The waterfall has been here since the community was founded by our forefathers and that's where residents get water from. The waters down the mountains don't get dried even during a long period of no rain because of the waterfall." Joshua's dream is to see the waterfall develop and open to the world. "It has always been my dream to see the Shiare waterfalls developed. I believe when this place is open to the world, Shiare would become a place of unending visits," he said. The joy of everyone connected to Shiare would be to have people travel from far to visit a developed waterfall on daily basis.